-leave me a comment letting me know you are a follower and tell me your favorite kitchen item! -all comments must be posted by Thursday February 2nd at midnight. I will announce the winner on Friday February 3rd! Follow via GFC & my favorite kitchen item right now is something I don't actually own yet. A kitchen aid mixer, I've gotten to use them and love them now I just need my own! 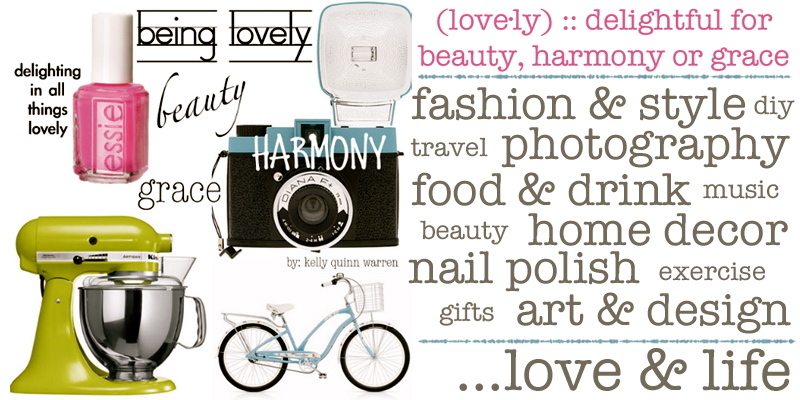 I already follow you on Bloglovin and adore Anthro, so I am crossing my fingers like mad! Those whisks are too fun! Elsa would enjoy whisking away while Jed cooks in the kitchen! 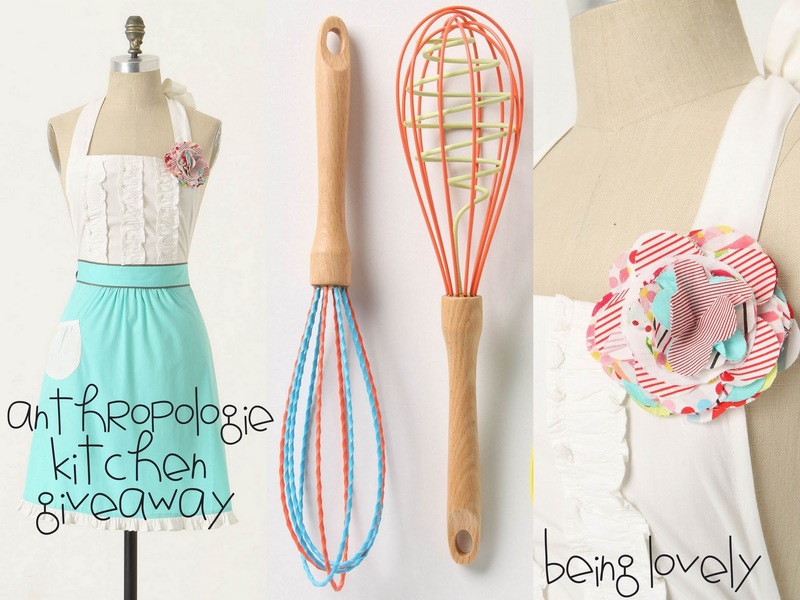 I love all three kitchen items, but the apron is my fave. Okay now, Aunt Cindy is old and cannot figure out how to put this giveaway on Pinterest! I'll also blame my old age on not knowing how to Tweet! It's taken me more than once to post this comment. True story! Love you. Following! I love the whisks - so whimsical and fun! I follow via GFC, and like you on facebook. I love the whisks - so colorful and fun! Thanks for the chance! :) I follow via gfc as Dee and my favorite kitchen item is my ice-cream maker! I love Anthro! And I love cooking in my kitchen. I also LOVE Being Lovely! I'd have to say my favorite kitchen weapon is my CuisineArt food processor! I'm a follower! My favorite kitchen item is a nonstick, dishwasher safe pan! I follow your blog (twitter). I love Anthro, especially their aprons. excited to follow your blog by facebook! i love my pioneer woman cookbook...makes cooking fun and delicious!! I am a follower and would love a magic whisk! I am a new follower and fav kitchen item is my bright blue KitchenAid. I am following you. Plus, I love the apron. I have wanted the cream and gold one for some time now. I'm following you on GFC as Mandy and Justin. My favorite kitchen item... probably my mixer. I do love the magic whisk though! My favorite Kitchen item would have to be my kitchen aid mixer I got for Christmas this year.Before that I was mixing by hand. I love this style apron. Forgot to post my tweet!! !